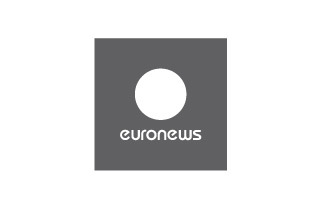 Euronews is the leading international news channel covering world news with objectivity and neutrality. Launched in 1993, euronews today is a multi-lingual, multi-platform news service. Euronews offers programmes and interactive services on cable, satellite and terrestrial TV. In addition, euronews is available in hotels, on airline networks, IPTV, internet and mobile phones. impartial Europe accounts for 34 official languages, making effective communication from one source an issue. 95% of upmarket Europeans choose to watch news in their own language, therefore a multilingual news service is a necessity. simultaneously in 9 languages Arabic • English • French • German • Italian • Portuguese • Russian • Spanish • Turkish* euronews is the only news provider offering such a service. Digital technology enables the channel to broadcast all 9 languages 24/7 in simulcast, everywhere in the world. Viewers can then make their personal choice of language using their remote control. euronews.net comprises of 9 sites in euronews 9 languages. Today 1.7 billion people can understand euronews, a quarter of the planet. Euronews programmes are also available locally in partial time in Serbian, Ukrainian, Romanian and Lithuanian.